Our client is a busy central London car dealership and part of a multi franchise national network. We provide support to the on-site receptionist allowing her to manage any walk-in showroom visitors. The dealer phone system is programmed to transfer calls to MyRuby if their lines are engaged or a call is unanswered for three rings. The transfer is seamless and callers are unaware that their call is being transferred to another site. No staff intervention is required to re-route the calls to MyRuby which is particularly useful during periods of reduced staffing due to sickness or holidays where calls simply ‘overflow’ to the Ruby receptionist. 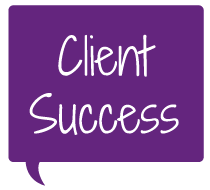 There are over forty staff members at the client site and all of their contact details and individual requirements are managed in MyRuby’s MIS system. The system allows the receptionist to have a single view of the organisation and to transfer calls or message dealer contacts with a simple mouse click. New car sales and Test Drive enquiries can be routed straight through to the salesman responsible for the model in question. Service or parts enquiries are patched straight through to the appropriate department. The on screen display also provides commonly needed resources such as directions to the clients showroom, details of opening hours or specific instructions – for example guidance for customers returning Motability vehicles. We are a seamless extension to their in-house team providing cover during busy periods and when internal resources are unable to cope due to sickness or holidays.